RAE Coils designs and manufactures a wide variety of heavy-duty coils to withstand the rigors of industrial applications. 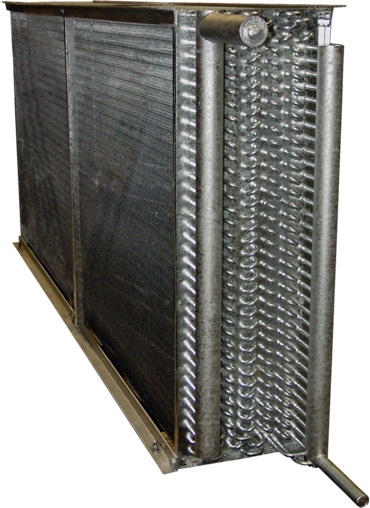 RAE Coils provides high quality Industrial Coils designed for easy maintenance, low operating costs, and longevity. 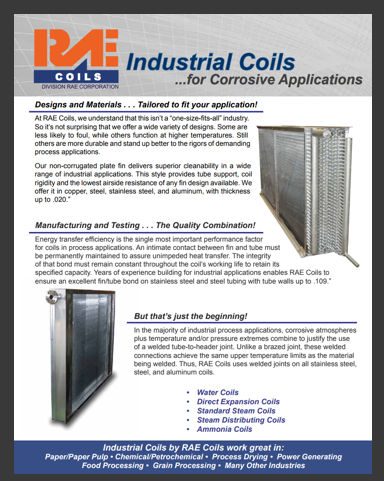 With capabilities to build fluid coils for water, glycol, oil, and other liquids as well as refrigerant coils and steam coils for high pressures, we can easily meet all of your Industrial Coil requirements!